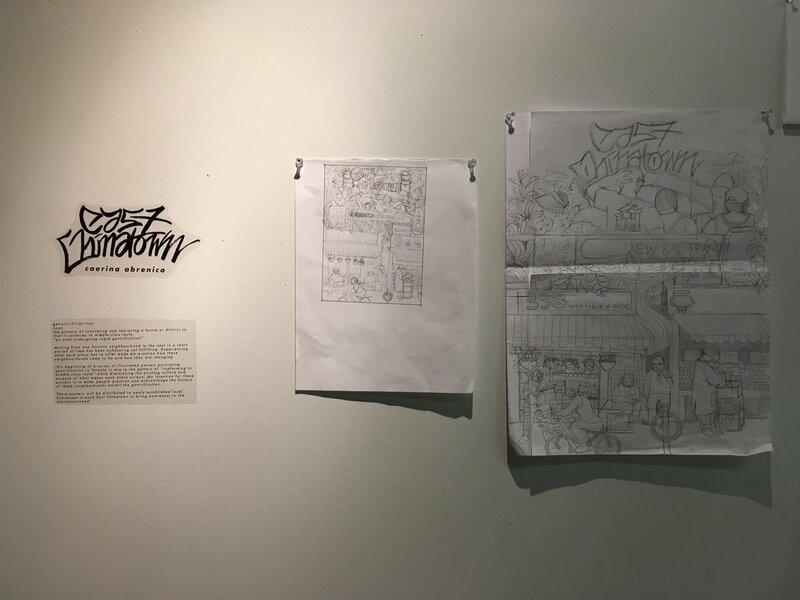 Residency at FARSIDE — Caerina Abrenica - Illustration, Design, Comics & more. 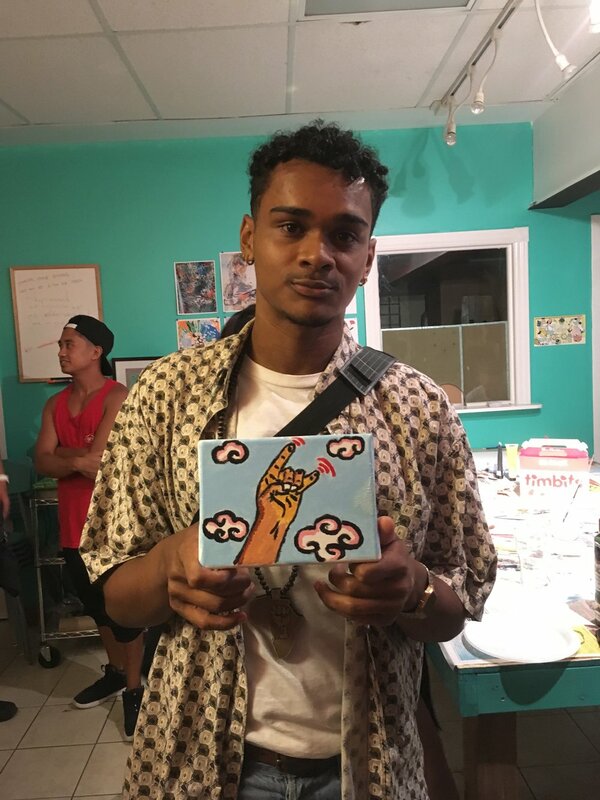 Keep updated with my process, events and news. 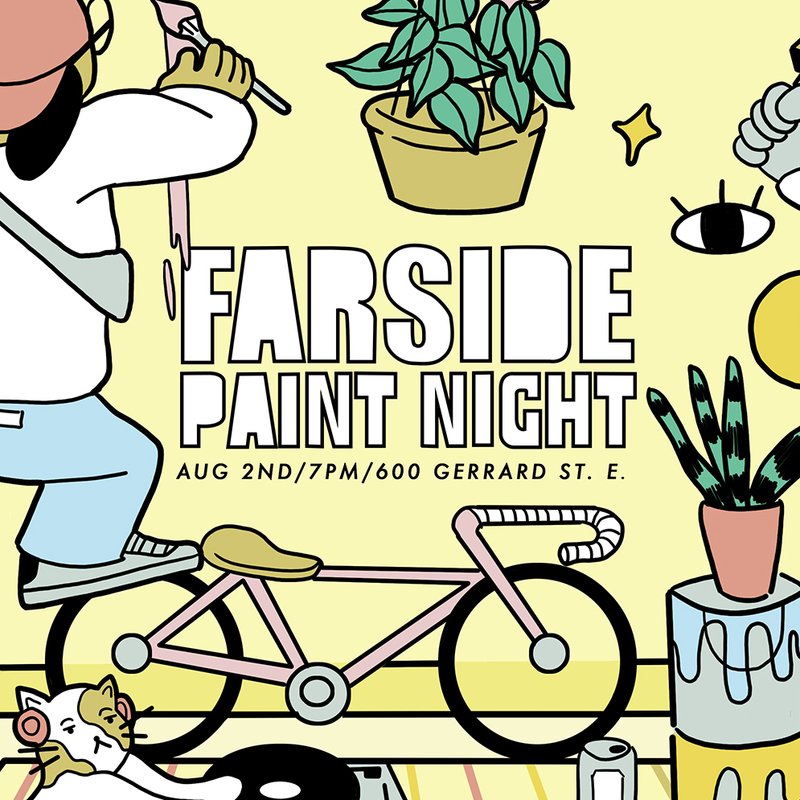 For the duration of July and August, I've been doing work and hosting events at FARSIDE as an artist in residence. I was able to start a project in creating posters portraying gentrifying neighbourhoods in Toronto. Since the studio is in East Chinatown, I decided that it would be the first one I would create. As I explored the area, I couldn't help but notice the new establishments that sit beside the Chinese supermarkets, bakeries and restaurants. 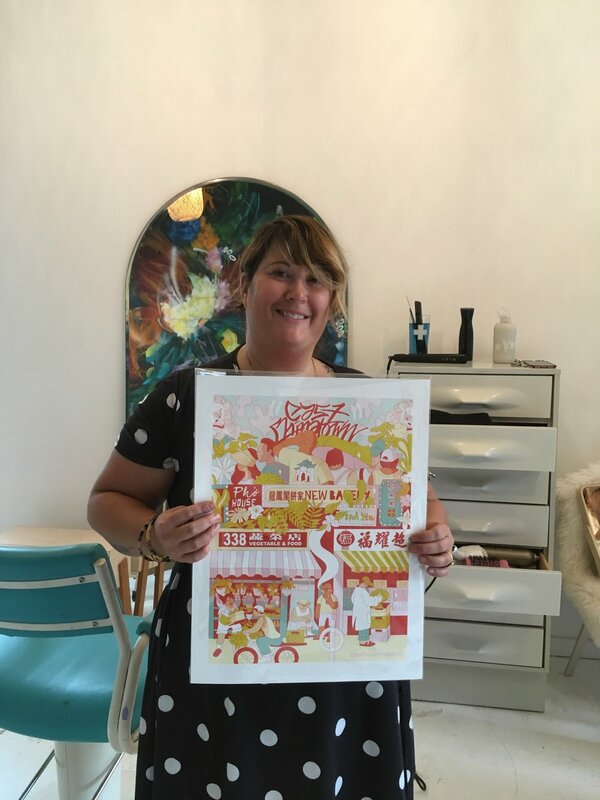 I tried to depict the historical essence and vibe of East Chinatown and distributed prints to a few new businesses in the area including: Wong's Ice Cream Store, Good Cheese, Andrea's Bakery and Heri Furniture/Tiny House Mama to bring awareness to gentrification in the area. 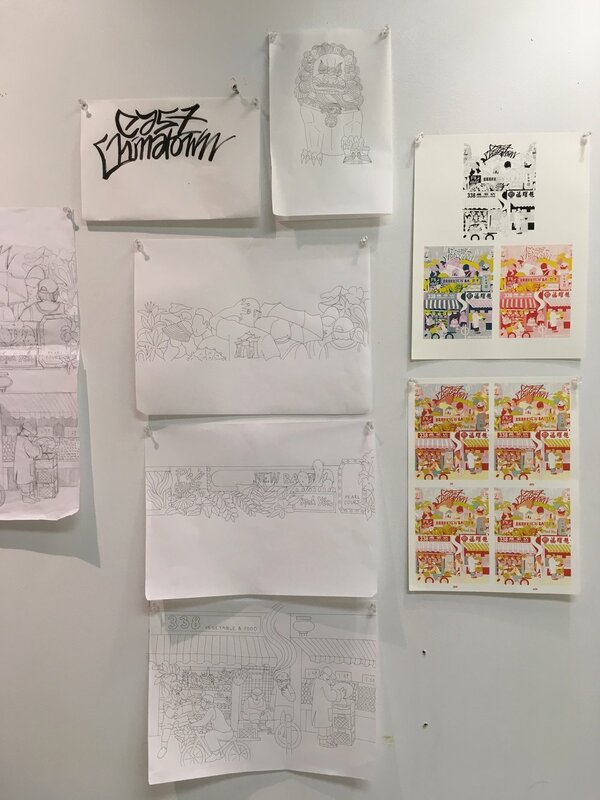 Process work on display for the final poster. 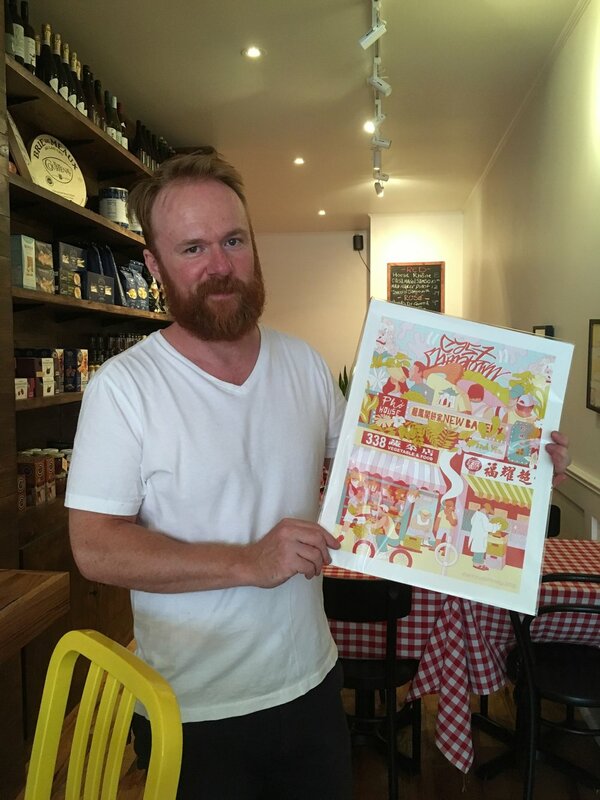 Thank you to Ed, Luke and Stacey for accepting my poster to be on display in your business. 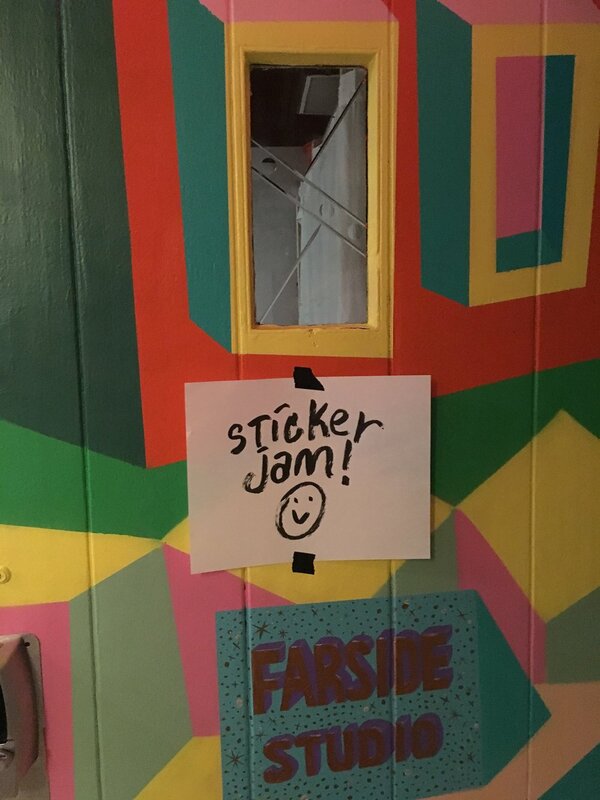 Alongside the project I started, I hosted a paint night and sticker jam at the studio.